JEAN DUJARDIN in "The Artist,"Demián Bichir in "A Better Life," George Clooney in "The Descendants," Gary Oldman in "Tinker Tailor Soldier Spy," Brad Pitt in "Moneyball"
MERYL STREEP in "The Iron Lady," Glenn Close in "Albert Nobbs," Viola Davis in "The Help," Rooney Mara in "The Girl With the Dragon Tattoo," Michelle Williams in "My Week With Marilyn"
CHRISTOPHER PLUMMER in "Beginners," Kenneth Branagh in "My Week with Marilyn," Jonah Hill in "Moneyball," Nick Nolte in "Warrior," Max von Sydow in "Extremely Loud & Incredibly Close"
OCTAVIA SPENCER in "The Help," Bérénice Bejo in "The Artist," Jessica Chastain in "The Help," Melissa McCarthy in "Bridesmaids," Janet McTeer in "Albert Nobbs"
MICHEL HAZANAVICIUS for "The Artist," Alexander Payne for "The Descendants," Martin Scorsese for "Hugo," Woody Allen for "Midnight in Paris," Terrence Malick for "The Tree of Life"
There were 24 different categories in this year's Oscars race. In the first year of Oscar presentations (for 1927/1928 films), there were only 12 categories. This year's nine Best Picture nominees in the top category included the most acclaimed and awarded films of the year. 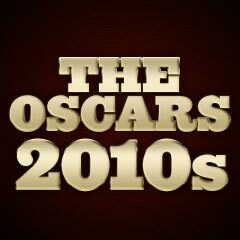 There were nine nominees for Best Picture, using a new nomination process, announced in June of 2010. The Academy of Motion Picture Arts and Sciences had once again changed its Oscar's Best Picture nomination process for the second time in three years. It followed a very brief, two-year period in which the Best Picture field included 10 nominees, making the choices extremely inclusive. The new system made the voters' ranking order of favorite films more important. In the new nomination process, Academy members were asked to rank five films for Best Picture (rather than 10, as in the last two years). In order to acquire a Best Picture nomination, a film had to earn at least 5% of the total number of first-place votes (projected to be around 240 ballots), allowing for between five and 10 nominees. Nominees/Wins by Studio: The Weinstein Company had 16 nominations (from 5 films) and 8 wins; Paramount had 18 nominations (from 6 films) and 6 wins; Buena Vista had 12 nominations (from 4 films) and 2 wins; while Sony Pictures with 21 nominations (from 8 films) had only 3 wins. The two top films, with a combined 21 nominations and 10 Oscar wins, were both nostalgic odes to the history of film-making and the early bygone days of cinema, followed by a few other films also set in the past. Six of the nine Best Picture nominees were adapted from literary works, and the top two were both French-related, as was Woody Allen's nominee! The two top films were also competing against each other in seven categories. Only one of the Best Picture nominees had earned more than $100 million at the box-office at the time of nominations and awards, Buena Vista's The Help, at $169.6 million. 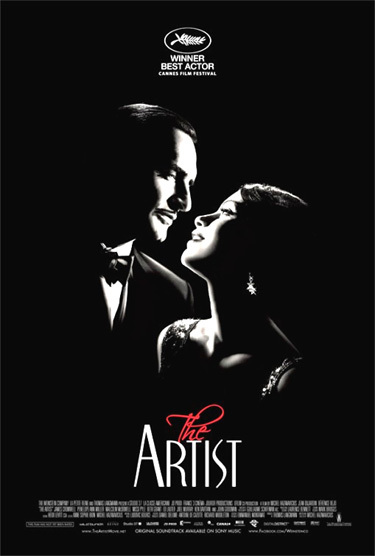 The Artist at $32.1 million, the front-running winning film joined the low-ranking films of the previous two years, The Hurt Locker (2009) (at $17 million) and The King's Speech (2010) (at $135 million), and it was on track to be the second lowest-grossing Best Picture winner since The Last Emperor (1987) (at $44 million). Hugo was also low-grossing at $69.5 million. Alexander Payne (with his second Best Director nomination) was previously nominated as Best Director for Sideways (2004) (he won the Oscar for Best Adapted Screenplay for the film). The Iranian family drama from writer/director Asghar Farhadi, A Separation had two nominations (including Best Original Screenplay) and won the Best Foreign Language Film Oscar - it was the first Iranian film to be nominated (and also win) in Academy history. There were nine first-time nominees among the 20 performance nominees - the most newcomers were within the Best Supporting Actress category. The Best Actress category included two legendary veterans (one without any wins from six nominations, and the other with her 17th nomination), and only one first-time nominee. Two actresses in the category, Glenn Close and Meryl Streep have competed against each other in the Best Actress category twice before (in 1987 and 1988), and on the two previous occasions both lost (to Moonstruck (1987) and Cher, and to The Accused (1988) and Jodi Foster).